You are here: Home � All Deals , Retail: Clothing Toys Baby Shoes Children � Monsters and Aliens Toys on sale from $5.99 - many discounted by over 60%. 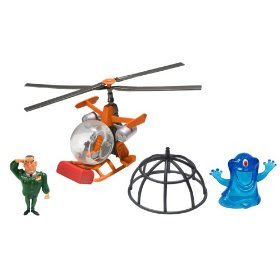 Monsters and Aliens Toys on sale from $5.99 - many discounted by over 60%. Amazon.com has a great selection of Monsters and Aliens Toys on sale from $5.99 . Some of our quick favorites from this special are: The monster capture hele-copter for $5.99, The missile loaded hummer with ice transporter for $5.99, the firing missile launcher with containment chamber for $5.99, and the Monsters vs Aliens Area52 foam dart shooter for $8.39.